Established in 2013, the young and funky band 4 Quarters has made a name for themselves in the local music scene. Back then the band was called DisChord with original members, Ben Masirewa, Petero Lalagavivi, and Isaac Pillay. From 2014 to 2016 they went through some changes. 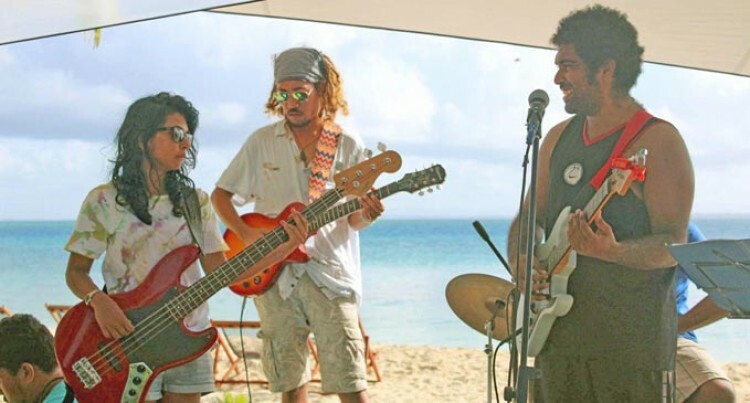 The band’s lead vocalist and guitarist, Masirewa said later their bass guitarist Andrea Narayan joined while Pillay left and Zen Waqavonovono filled in for him on guitar. Masirewa said they felt like they needed something different to their sound, so they asked Naiqama Lalabalavu to join as a beat boxer for a few songs which later became a permanent decision as he showed initiative in playing percussive instruments. Masirewa said the name came about while shooting a promo video and during editing, the video editor noticed his three-quarter shorts being all the way to his ankles. After the band had a laugh about it they noticed how good the name sounded and so they stuck with it. The band plays all genres including jazz, rock, rap, RnB, soul, pop, and funk. Some of the six band members hold full time jobs while others are studying. They are working towards being able to sustain themselves with their music completely and are all positive it can happen through hard work and dedication. “At the moment we are in the process of writing originals for our EP, as far as the live show is concerned we do a lot of instrumental improvisation,” said Masirewa. The biggest challenge has been to find time to write and record their original songs in between work, school, family commitments, gigs and practice. They’ve performed at events like World Music Day organised by Alliance Francaise, Poetry Shop Fiji, Leleuvia Island Resort, and the monthly ROC Market in Suva and in private functions, and have featured with renowned artist, Mr Grin. “We love our craft and have become a very close knitted family and want to share that love with everyone. “To make them aware of not only music but the environment and working within a beautiful society. “The band’s long-term plan is to release original music and be able to do music as a full-time career and definitely touring regionally. “The band is eternally grateful for all the support they get from family and friends, and their fan base. “None of this would be possible without people believing in us as much as we believe in ourselves.” The six members are: Ben Masiewa, Andrea Narayan, Zen Waqavonovono, Naiqama Lalabalavu, Petero Lalagavivi, and sound engineer Malo Vaurasi. You can check out the band in their official 4 Quarters Facebook page for more information..